Pure-FTPd is a free and secure FTP server. It doesn’t provide useless bells and whistles, but focuses on efficiency and ease of use. It provides simple answers to common needs, plus unique useful features for personal users as well as hosting providers. This how to guide will help you to setup Pure-FTPD with MySQL as user database. Also providing detailed instruction to create user and test. 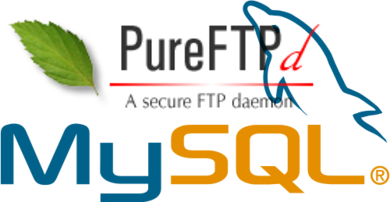 Firstly we need to install MySQL on our system using following steps of command. click here for detailed instruction’s for mysql installation. 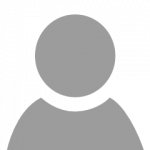 Use following command to install pure-ftpd on your linux system. After installation pure-ftpd package, lets create a mysql database, table and user for storing user information. At this step we have completed pure-ftpd setup, Now we need to test our setup by creating our first ftp account. To test our setup, first we need to create an user in linux system. After that we will use that users UID and GID to create our virtual ftp accounts. As per above output we found that usres UID is 504 and GID is 505. Lets login to mysql server or access through phpMyAdmin and create your first account. For this tutorial, I am using command line. Connect to FTP Server using newly created ftp account and try to upload a test file. 220-Local time is now 21:39. Server port: 21.
ftp: 2593 bytes sent in 0.00Seconds 2593.00Kbytes/sec. 221-Goodbye. You uploaded 3 and downloaded 0 kbytes. As per above results we have successfully connected to ftp user and uploaded a test file. Lets check the permissions of that files on server. Now you can see that the files gets the permissions of that user which UID, GID we have used for that FTP accounts. i m getting an error in the centos 6 pureftpd souce code compilation with mysql parameter…..